Trim kits can put an entire new accent or look on your old worn out fireplace. Complete you look with the beveled six inch trim kit. This kit works with electric or gas fireplaces. 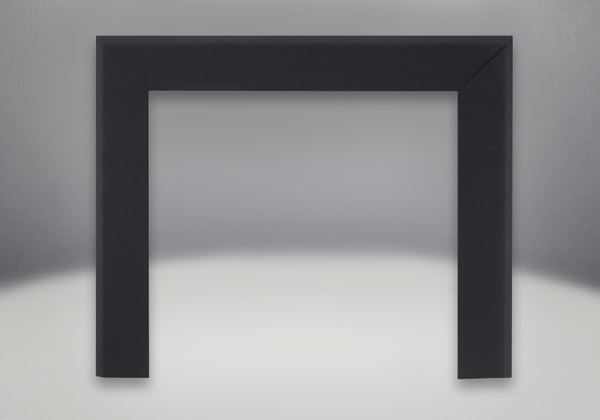 The kit is made by Napoleon and will be especially compatible with other Napoleon fireplaces. It is made to fit perfectly with Napoleon EF36, GD36NTR, B36DFN, BGD40N, BGNV40, BGNV36, GVF36, GVF40, and BGD36NTR fireplace models. What are the overall dimensions of this piece? This trim kit has inside dimensions of 35 inches wide and 31 inches tall. The 6 inch apron will make for an overall width of 47 inches and a height of 37 inches. Can you please tell me the dimensions of the trim kit? Can this fireplace trim kit be used fireplace that is not from Napoleon? Unfortunately, these trim kits are indeed designed to be used explicitly with Napoleon fireplaces.